Same fight card. Same date. Different city. It’s a fight week as eventful as the holidays themselves, and one that even longtime UFC fighters, employees and fans have trouble finding a comparison for. Shades of UFC 12? Maybe. But the turn of events that led to the promotion to the hallowed hardwood of The Forum in Los Angeles will ensure that UFC 232 stands singular among its peers in UFC lore. 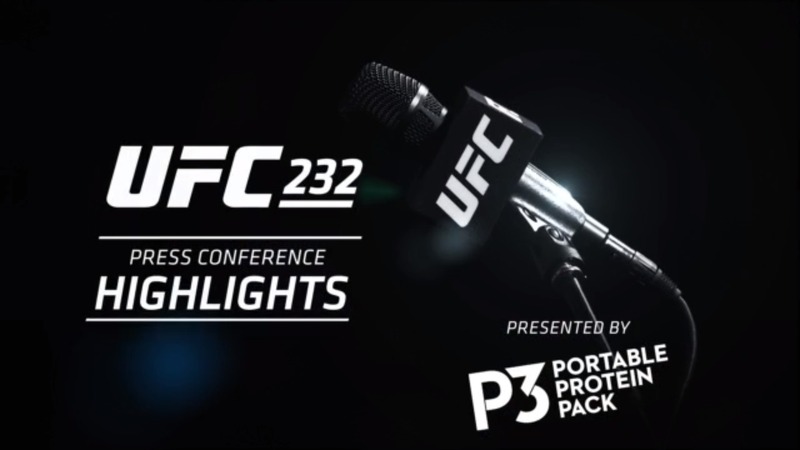 Watch the highlights from the UFC 232 press conference, featuring Jon Jones, Alexander Gustafsson and more. Recognizing the uniqueness of such a spectacle, a rowdy army of SoCal fight fans packed a Marriot hotel ballroom for the official UFC 232 press conference to verify that their unexpected holiday surprise was indeed for real. 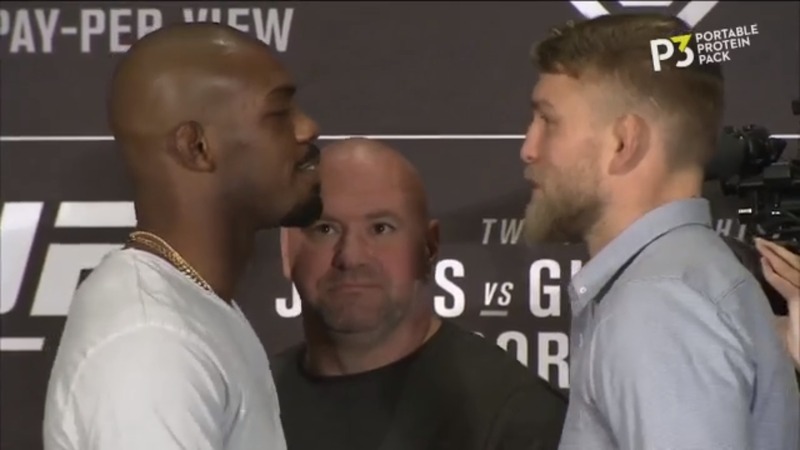 While the circumstances of the newly relocated event remain singular, there was plenty about the press conference that was familiar; namely the vitriol between main event opponents Jon Jones and Alexander Gustafsson. As Jones addressed and explained the PED testing issues that led to him being stripped of his title, and ultimately the Vegas card being moved to Los Angeles, it was clear that Gustafsson was having none of it. "Whatever this guy is saying, you can't take it serious," he declared, adding that his behavior was "bad for the sport, it's bad for the organization. It's not good for anyone." Order UFC 232 For Any Device Here! It was more than five years ago that Bones and The Mauler mixed it up in what many consider to be the greatest light heavyweight contest ever. Still, five years doesn’t seem to have been ample time to heal all the proverbial wounds. That was evident back at their faceoff back in Novemeber, when Jones couldn’t contain his urge to give Gus a shove. That shove, coupled with a last minute venue change and the vacant light heavyweight title up for grabs, all but confirmed that there are no amends to be made until Saturday night is in the history books. "This guy has found a way to justify how he lost," Jones countered, claiming no transgression he might have made could have made a measurable difference in their original contest. History books were also clearly on the minds of the co-main combatants Cris Cyborg and Amanda Nunes. Bantamweight champ Nunes is venturing into the 145 pound kingdom, and dethroning champion Cyborg is a tall an order as there has been in UFC women’s history. Should Nunes prevail, she’ll be the first female UFC fighter to own belts in multiple divisions. Should Cyborg successfully defend, she’ll remain the undisputed G.O.A.T. of women’s MMA ("If my fans say that, maybe I can believe it,” she’d later say). Watch the faceoffs from the UFC 232 press conference, featuring Jon Jones, Alexander Gustafsson and more. Although more cordial than the men, there was no mistaking the enormity what is at stake for either woman. "Baddest woman on the planet," confirmed UFC president Dana White, adding that the long-awaited matchup featured “without a doubt, the two baddest women on earth." Consummate professionals always, the two champions made it clear that that unlike their main event counterparts, nothing was personal. "I don't have anything against her,” confirmed Cyborg. “I'm going do my best and take my belt home." Their subsequent faceoff emoted both confidence and steely determination, but nothing approaching bad blood. Less so would be the faceoff between Jones and Gus. There would be no shoving this time, only an uneasy handshake and inaudible barbs, but by now the ballroom was dense with tension felt by all in attendance, virtually assuring that whatever the outcome on Saturday, UFC 232 was destined for a thick chapter in the UFC story.